This piece is interactive. Old wooden frames were carefully dissected in order to make this piece. 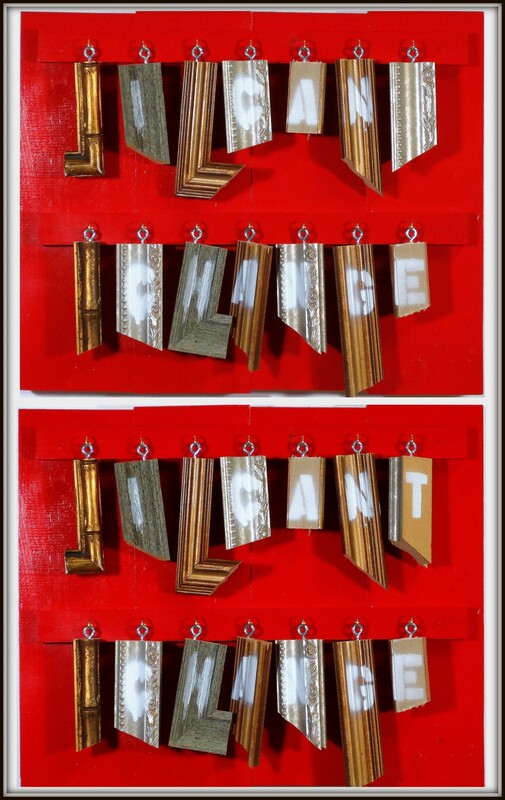 Each hanging section of frame can be moved, flipped over to expose new letters, and/or completely rearranged by the viewer. Painted edges. Wired and ready to hang, no framing required.